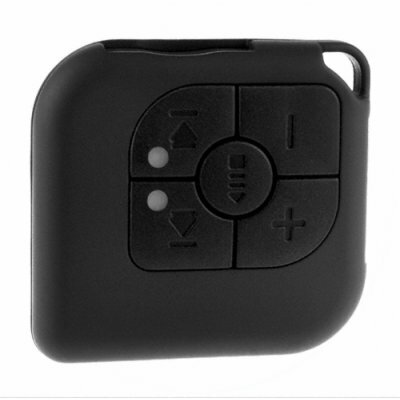 Successfully Added Pocket MP3 Player + Flash Memory Card Reader (Titan Black) to your Shopping Cart. Pocket MP3 Player + Flash Memory Card Reader (Titan Black). A portable MP3 Player in a highly compact and sleek form factor, this lightweight device comes in an eye-catching metallic red. The TX-C18-BLACK provides you with the mobility and the convenience to take your music wherever you go, whenever you want - relax and listen to your favorite music tracks on the bus, in the car, in a cafe or the park. With a user-friendly 5-button interface, you can be confident of staying in control of your music at all times. This is a great gadget brought to you by the leader in China Wholesale Electronics, Chinavasion. Buy one for yourself and sell the other pieces on eBay or your local market. This is a great resale opportunity. So order TX-C18-BLACK today for a tidy profit! This device is plug and play, meaning that no additional drivers are required for Windows PC's.